A Year of Being Here: Arlene Gay Levine: "Here Is the Road"
Each step is the journey; a single note the song. "Here Is the Road" by Arlene Gay Levine, from Wishing You Well: "Prayers and Poems for Comfort, Healing, and Recovery. Edited by June Cotner. © Loyola Press, 2005. 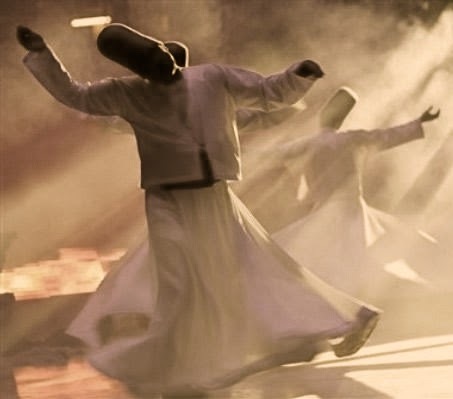 Art credit: Untitled image of the Sufi dance of life, by unknown photographer (originally color). This is glorious. Thank you! I so identify with this poem as a traveler. Now as a high school English teacher I am going to use it this year, even though it's not on the approved list.